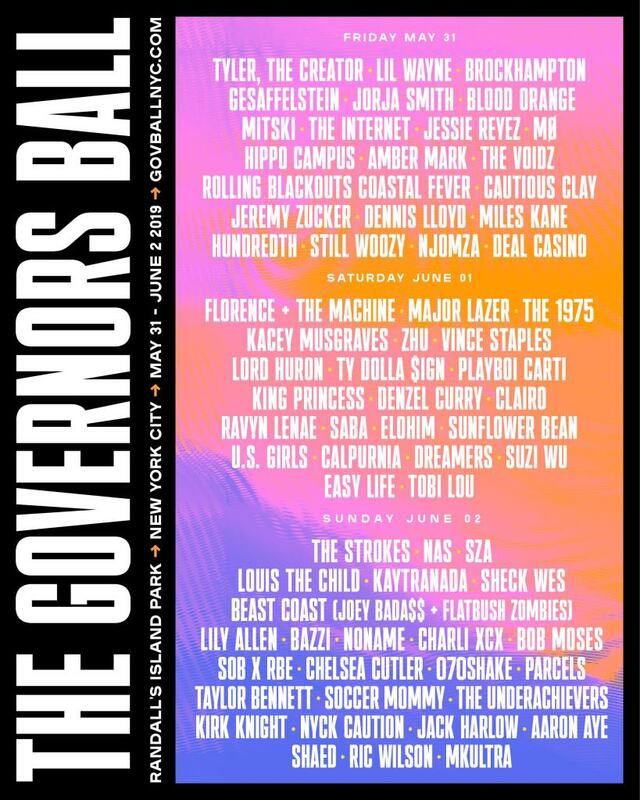 The lineup for New York’s Governors Ball has been revealed for 2019 – led by Florence & The Machine, the Strokes and Tyler, the Creator. The festival, which takes place from May 31 to June 2, will also see performances from the likes of the 1975, Lil Wayne, Mitski, Vince Staples and Major Lazer. It’s an exciting proposition for fans of the Strokes — as well as boasting their first New York performance since 2016, the first day of the festival will also see a performance from Julian Casablancas & the Voidz. Check out the line-up in full below – which also features the likes of Brockhampton, Jorja Smith and Soccer Mommy. Meanwhile, it was previously announced that the Strokes will head to Europe for a string of festival dates this summer. They’ll play at Spain’s Bilbao’s BBK Festival before heading to the Doctor Music Festival shortly afterwards. Although UK dates are yet to be announced, Strokes fans last year were fooled into thinking that they had confirmed a secret London show earlier this year. In July, a tweet from music venue Dingwalls announced a performance of a “very special one off show” from “Venison” in the traditional logo style of The Strokes.